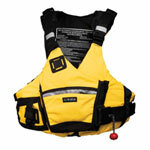 Swift Water Rescue Life Jackets are Type V life jackets specifically designed for rescue professionals and raft and kayak guides that have been trained in how to use a swift water rescue life jacket in a swiftwater rescue class. They all have a built in harness with a quick release. 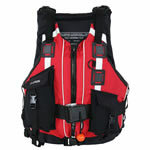 Swiftwater Type V life jackets are Coast Guard approved for rescue use. Activities in which they are used are inherently dangerous and life-threatening. 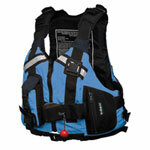 No life jacket alone can prevent injury or death.